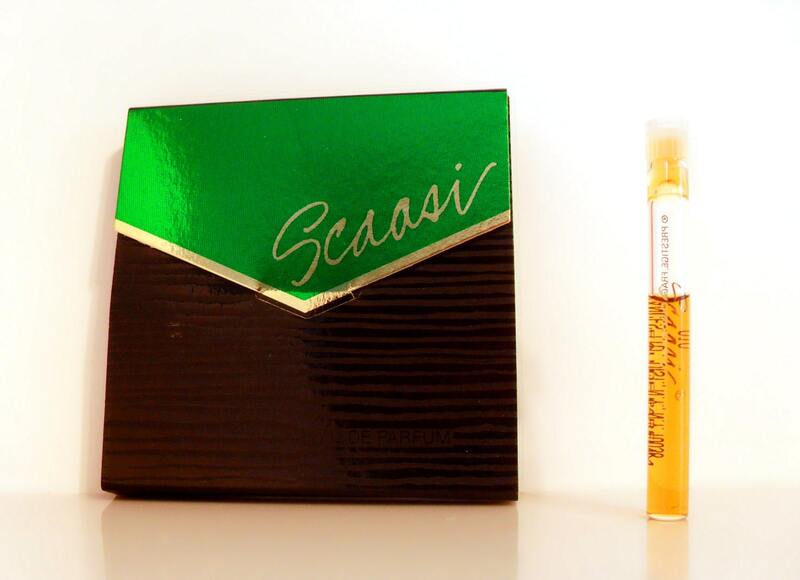 Vintage 1980s Scaasi by Scaasi 0.03 oz Eau de Parfum Splash Manufacturer's Sample Vial on Card. Launched in 1989 by Prestige Fragrances (as marked on the card), it is classified as a crisp fruity-floral fragrance for women. This fragrance was discontinued before being picked up by Revlon and relaunched.